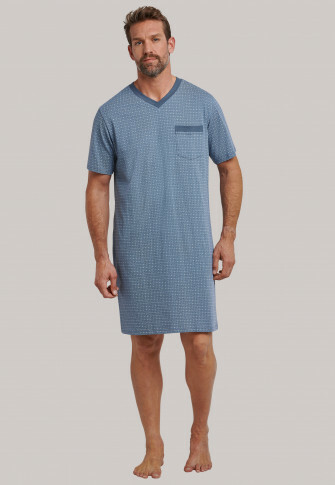 This short sleeved men's sleep shirt is the perfect combination of high wearing comfort and masculine design. 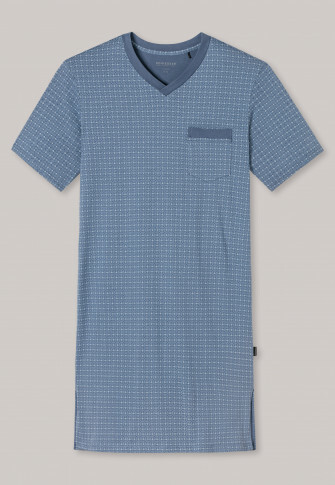 A fine light blue and grey pattern is distributed on indigo blue in an allover print, the V-neck is perfectly color-coordinated. 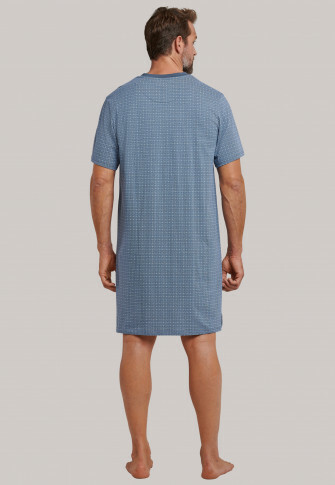 Loose single jersey 100% cotton and the side slits provide freedom of movement and make this sleep shirt particularly comfortable. 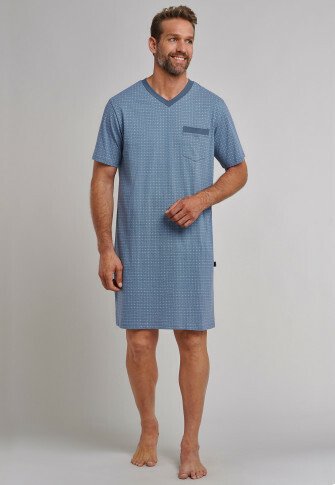 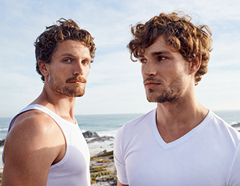 Perfect form men who want to enjoy relaxing nights in the best SCHIESSER quality!